Their was protest this morning at the Senate and the protesters came to the National Assembly in support of the suspended Sentor from Delta State Ovie Omo-Agege. 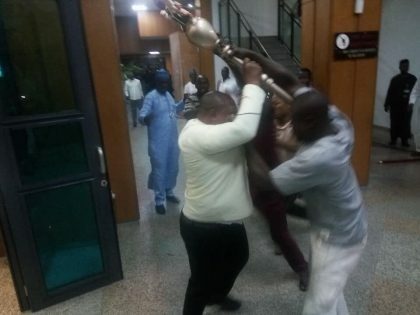 Hoodlums invades the Senate plenary and make away the Mace. The senate resumes plenary after the Mace was Hijacked.